Insurance companies are increasingly embracing innovative mobile solutions with the aim of helping their members live healthier lives and access quality care conveniently and efficiently. One obstacle for even faster adoption has been the fragmented nature of the content, apps and services on offer. Pioneering European health companies will cooperate closely now to coordinate their solutions and messaging. The objective is to help insurers address the common end user needs they regularly encounter. Particular attention will be paid to improving the interworking of participants’ products and services so that insurers can offer seamless and efficient service paths to their members in frictionless manner. The service paths can consist of existing digital capabilities insurers may have built, a variety of external products and services, and a platform to harmonize the user experience and service management. 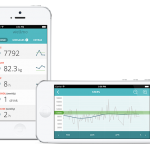 Founding members of the co-operation are Wellmo, Mediktor, HUMANOO, diabetizer, KRY and Arthro Therapeutics. Co-operation is non-exclusive, and open to new partners. 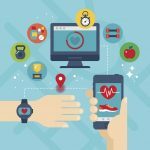 The health companies will work together to improve integration and align user experience, market communication, sales activities, and commercial terms. 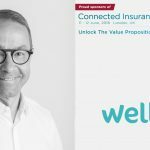 “We believe that when we now can better explain to our prospective customers how our solutions complement each other and work together for the benefit of the user, we will make buying them much easier for the insurers” says Jaakko Olkkonen, the founder and CEO of Wellmo. Kry’s CEO and co-founder Johannes Schildt continues “We are always looking into improving the healthcare experience for the patient. By working together, we can extend the help that we can give to the patients by distance, no matter where they live or who they are”.